Formula One, Alonso in Ferrari, Vettel in Red Bull, Button in McLaren, Kimi in Lotus, Schumacher in Mercedes and Senna. And Me in Honda Civic. This was Formula One’s final race weekend of the season. What a cliffhanger the Brazilian Grand Prix was. Even having been a Ferrari liker for many years, I didn’t give Alonso a single shred of hope, going into the final race of the season without the championship lead, without the better car, without the momentum of winning and without a headstart on the starting grid. But the opening sequence of the race turned the championship on its head, with Alonso’s customary brilliant start and Vettel’s uncustomary position at dead last after a collision at Turn 1. 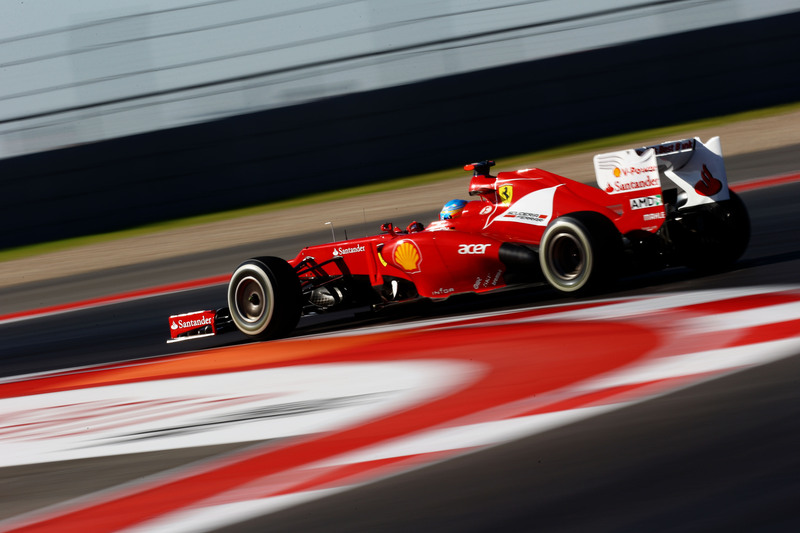 Hopes rose and ebbed with the rain, and in the end, close but no cigar for Alonso and Ferrari. So much ado about not much. At least it was entertaining. So fittingly, the final race of the year was won by one of two lefties on the grid—Jenson Button. How did I know? I got it from this my second most favorite blog of all (today)—a right-handed girl who loves lefties (cool…). (And of course I verified this against some other sources, and unearthed the fact that Kimi was the other lefty. But if not for this page, who would know, the guy talks so little.). 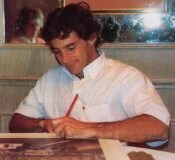 But the sport is owned by the greatest driver of all—he didn’t win the most championships like Schumi or Fangio, but the left-handed Ayrton Senna is considered the enigmatic genius, the most talented driver ever, whose 3 drivers’ championships only serve to describe how short his time was in the sport and on earth. Senna’s success in his sport is a symbol of how lefties are better at driving. A driving school in the UK (where the shifting hand is the left. Does it matter? Maybe.) found that 57% of lefties passed their driving tests, compared to 47% of righties. That is a >20% success rate over those using the wrong hand! The story of my own driving test was consistent with this claim. I was a poor undergrad (ironic that I describe myself as such considering that I was making more then than I am making now) in drivers’ city Los Angeles and wanted to get a drivers’ licence with the lowest possible capital outlay. So I decided to take the test in automatic transmission (they don’t really care what kind of car you drive even if you passed in auto) after having taken 3 lessons with the driving school. Passed by the skin of my teeth. But like Alonso (or Schumi or any other cynical F1 driver) would say, it doesn’t matter how you win, so long as you win—it didn’t matter how I passed, so long as I passed. So congratulations to Vettel, I don’t like the man, but it must take more than luck and wagging that irritating index finger of his to win 3 championships. For Alonso, another year of finishing second, I have lost count how many seconds he has clocked (pun not intended). This guy is in the right team at the wrong time. Expect him to consider new teams when his current contract runs out. This entry was posted in Sports and tagged Alonso, ayrton senna, Cars, close but no cigar, Driving, Ferrari, Formula One, Racing, Red Bull, Schumacher, Senna, talented driver, Vettel.